OARDC Director Steve Slack, pictured, has announced he will retire at the end of 2015 after 16 years at the helm of the United States’ largest university agricultural biosciences research institution. “After more than 40 years of faculty and administrative service, the time is right to transition to the next phase of my life,” he said. 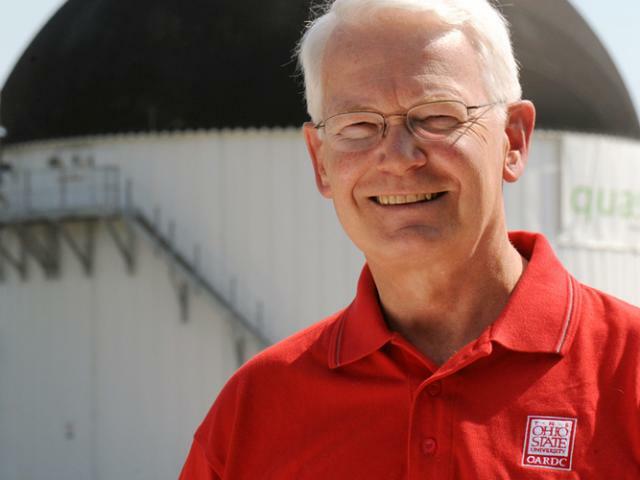 In his time with OARDC, Slack has been in charge of research administration for CFAES, one of Ohio State’s largest and most comprehensive colleges; and of management of the center’s Wooster campus and eight outlying research stations. Led an extensive review of OARDC and its economic impact in Ohio. The review identified three core investment areas — food, environment and bioeconomy — that would become CFAES’s strategic focus areas. Supported new public-private partnerships, including the BioHio Research Park. Oversaw major facility improvements, including the Ralph Regula Plant and Animal Agrosecurity Research facility, the state-of-the art Feedstock Processing Research Facility, and new headquarters buildings at three of the outlying research stations. Led the Wooster campus’s recovery efforts after a 2010 tornado caused some $30 million in damage. The work included replacing two storm-wrecked facilities — a greenhouse complex and the Food, Agricultural and Biological Engineering Building.